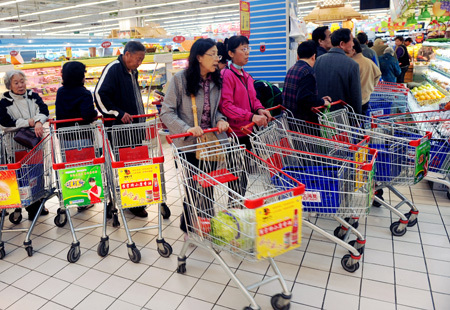 According to foreign shoppers in Beijing, consumer rights are incredibly difficult to uphold in the capital. This is especially contrasting when expats compare the type of service they expect to receive in their domestic countries with that which they receive here. Justin Richardson, director of Jardson International Education, has remarked that even though he has been a China resident for 13 years, he still does not know how to complain about items bought in the city that have not met his expectations owing to a basic lack of information for foreigners. In Australia, where Mr Richardson hails from, he says that there are consumer rights groups who will provide information to those who believe that their rights have been affected. In addition, there is also a language barrier that exists for a majority of expats living in Beijing such that even if there are help channels available, they cannot be accessed. For instance, Liora Pearlman, an American mother of two living in Beijing, says that ‘Even if I knew where to make a complaint, I wouldn’t be able to,”. Such news comes after US electronics giant Best Buy announced their departure from the Chinese market indefinitely, with some speculating that their failure may have been due to omitting to properly train their staff on the requisite product knowledge necessary to provide a premium service – both pre and after sales. However, it has been observed that there has been an increase in the number of English language help lines offered by Western Brands given the increase in expat population in the city, according to Cindy Carter, an American translator for the Ullens Center for Contemporary Art.